Motorcycle Title Loans are a great way to get fast cash. 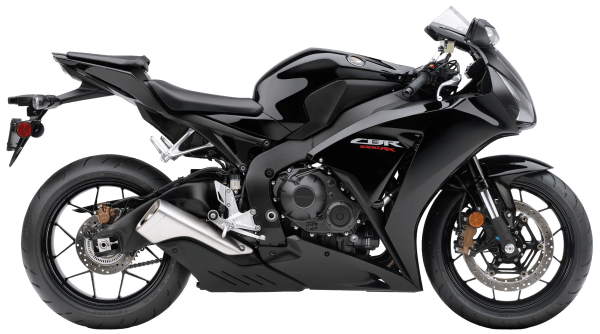 At Oro Express Chandler Pawn & Gold we offer pawn loans on all types of Motorcycles with an Arizona Title, also the fact that you can get same day cash with our Motorcycle title loans with no credit check is another great benefit. Our Motorcycle Title Loans are an asset-backed cash loan – that means that the value of the loan is determined by the value of your motorcycle, from various recognized 3rd party appraisal guides. This enables us to offer you a title loan without any credit checks. These pawn loans are very user-friendly and have much lower interest rate terms than other loans which boast extremely large interest rates. We are also able to provide the most secure, safe and insured storage for your precious motorcycle when necessary and with better rates than any pawn shop in Chandler, Mesa, Gilbert, or Queen Creek could ever offer. You value your motorcycle, and so do we! A motorcycle title loan will leave you feeling as happy as the day you purchased your motorcycle, but with more cash in your pocket! When considering a motorcycle title loan, the vast majority of us are new to the service and don’t know how it works. So let’s explore how you would go about getting a Motorcycle Title Loan from Oro Express Chandler Pawn and Gold. There’s two ways that you can begin the process, either by filling out our Online Title Loan Application found on our home page, or by simply bringing your motorcycle right down to our pawn shop. If you go the application route, we can often get you preapproved before you even visit the location saving you tons of time as all you’ll have to do is fill out some paperwork. If you decide to come down to our store, the process is still quick, so don’t sweat! One of our lovely associates will collect some information about your motorcycle, and then come with you outside to perform a visual inspection. This will include things like cosmetics (exterior, looking for scratches or dents), overall running condition (is it making any weird noises, smoke coming from the exhaust), and the mileage of the motorcycle. Then we’ll take ya back inside and find out what the current market price for the motorcycle is. For this, we use Kelley Blue Book Private Party value which includes the mileage and its condition. Now, before we make you an offer, we’ll also inform you of other ways that we can increase your loan value. This can include things like proof of income (or having a more stable career than some), giving us a spare key, or even letting us store the vehicle. There are lots of ways we can save you money and we’ll go over them with you. Next we make you the cash offer, should you choose to accept, we’ll collect a few signatures and send you on your way with cash in hand. One last warning we give our customers is to only take the amount of money you actually need for your emergency. While it might be enticing to have a little safety net, the interest can catch up on you fast so it’s best to accept less than the full amount. We can even offer lower interest rates sometimes for taking less than the full offered amount. It’s a common misconception that title loan companies are only out there to take advantage of people in desperate situations. At Phoenix Title Loans, we’re not in the business of repossessing vehicles — we’re in the business of helping our own community, the ones who helped Phoenix Title Loans become who they are today. We try and provide every opportunity to our customers to remain on their feet. We don’t just want to put our customers into another car loan, we’re looking to provide a long term solution for financial stability. So if you have an auto title loan through us, we’ll work with you no matter what. We understand that life happens and sometimes we’re not able to make our payments on time. We can work with you — just reach out to us. We can provide new options, work with monthly payments, to ensure that you can keep your car but not be able to pay your most important bills. We’re in the business of helping, not harming, and will do everything in our power to serve that purpose. We will give you top money for your motorcycle at Chandler Pawn & Gold. The loan process is hassle-free, stress-free, and will leave you walking away with a giant grin across your face. With a motorcycle title loan, you get to ride away on your bike, with lots of money in your pocket. If you want cash fast, come today! You will get more than you ever thought you could for your motorcycle, and won’t have to waste your time elsewhere getting half of your worth. Come visit and see why we’re the best pawn shop in Chandler, Queen Creek, Gilbert, and Mesa! Check out the Motorcycle Title Loans page on Phoenix Title Loans, LLC’s website for answers to any other questions you may have!